As we push towards Eclipse Mars I’ve started my annual tradition of counting down the Top 10 Eclipse Features that I’m most excited about. Number 9 on my list is Platform Improvements. 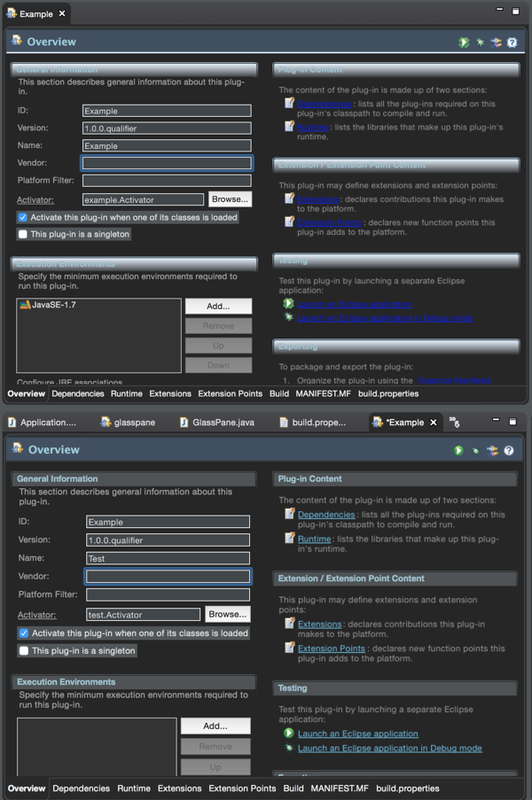 The Eclipse platform is the core of all Eclipse based applications and plugins. Improvements to the platform benefit us all. While it’s often been argued that the Eclipse platform suffers from the tragedy of the commons, I’m happy to see a number of exciting improvements this year. 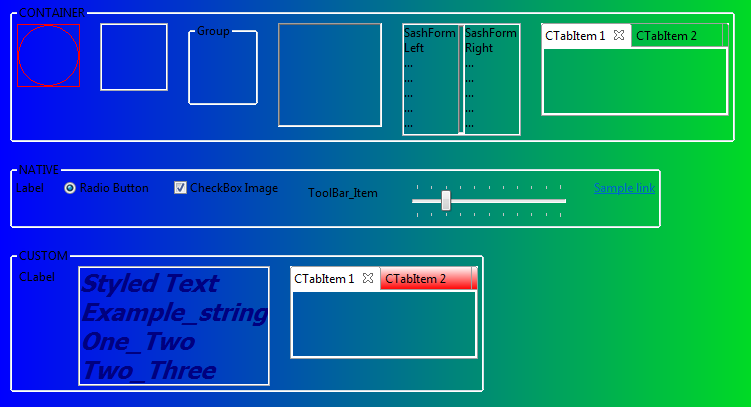 And SWT has finally implemented proper transparent support. The print button was removed (hidden by default), although now I’m not sure how we will do code reviews anymore :-). And most importantly, the perspective customization dialog is back. There were a number of other changes too, such as improvements to the ‘Open With’ and ‘Open Resources’ dialogs, improvements to how editor tabs are handled and text search performance improvements. I’m just glad that the floppy disk icon is still around! I always get a smile when I read your feature list posts every year. Thanks. How do you get the Eclipse Mars dark theme you showed? With the Eclipse Mars Committers package, I got the same harsh Luna dark theme look you showed. 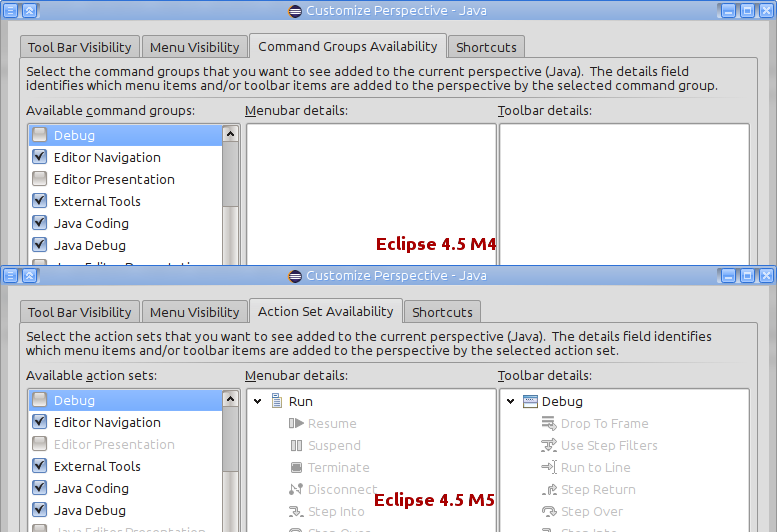 The Eclipse Mars dark theme may be an improvement but it’s not very useful if it requires dark magic to get it.